* Free e-Books - Natural Healthcare, Longevity, etc. FREE SHIPPING ON ALL SAMPLE PAKS! 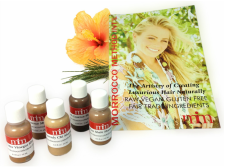 *FREE SHIPPING on Morrocco Method products: ﻿Shampoo and Conditioner. * Free Super-Saver Shipping - on many items when you click-through our Amazon ads (on the bottom of most pages) and HERE. * Free Facial Exercise Chart & Instructions. * Free Access - Easy Meal Planner Charts and Menus. * Free Quick-Reference Guides - Exercise and Stretching Charts. * Free Access - to ﻿Videos﻿, Charts, Haircare Tips and More! * Free Download for Your State's Advance Directive for Healthcare. * 10.00 Off - Any Order of 40.00+ also at iHerb. * Freebies - Free products & Trial offers from iHerb.com with every order! * Free Super-Saver Shipping - on most items when you click-through our Amazon ads (on the bottom of all our product pages) or HERE.